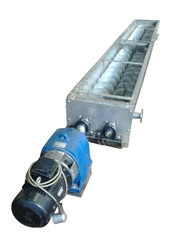 We offer a comprehensive range of Screw Conveyor, which is used to transport crushed material from place to another. 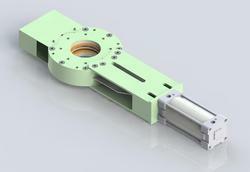 Our range can be customized as per client’s requirement. 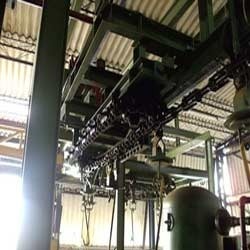 These chain conveyors generally have double or triple strands of chains running over fabricated frames. These are often used in conjunction with roller conveyors, handling cartons, bins, warehouses etc. 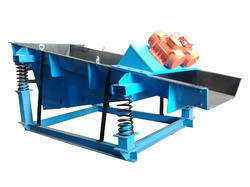 A chain conveyor provides good positive drive and is an economical form of transportation of goods. 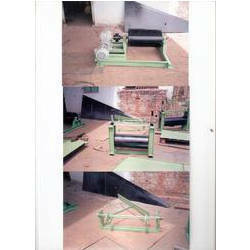 These Belt Conveyor are used in many production industries for providing smooth flow of production. We offer a wide range of belt conveyor and accessories. These are designed in order to handle wet or loose, sand and heavy bulk of grain materials. These type of Ladles used in CCM. To handle this ladle, separate Bail Arm are used. 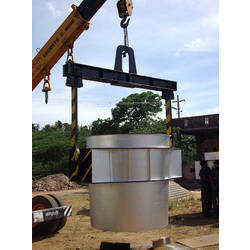 We offer Bail Arm upto 30 T Capacity Bottom Pouring Ladle for CCM. This Divertor Valve Assembly used in pneumatic conveyor pipe line to divert material from one hopper / silo to another and also used as a gate / slide valve in feeding arrangement in hopper / silo. 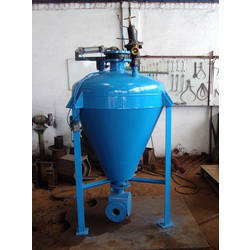 We are one of the leading manufacturer and exporter of Vibro Feeder for various industry applications. Customized design can also be done.